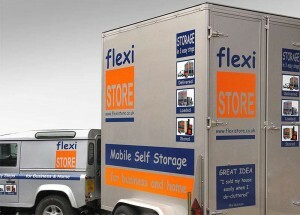 Searching for stress-free mobile storage in South Manchester? Then search no further! Here at Flexistore we pride ourselves in offering a storage service that takes all of the worry and anxiety from the equation for our South Manchester customers. You will find no need to hire a truck or removal company since we bring our mobile storage containers straight to your door for you to load up. After you’re done, just give us a phone and we’ll come to pick it up and bring it to our protected Manchester storage facility, whenever you want it returned to you just give us a ring again and we will deliver it to your door. As easy as that! Why Choose Us for South Manchester storage? We provide South Manchester storage solutions to household customers, students and companies all through the local area. Our mobile storage vaults are inexpensive, adaptable and we provide a complete assortment of loading materials. So no matter whether you happen to be moving home, de-cluttering or are an organisation wanting additional space, we’ve got you covered with a wholly stress-free storage service in South Manchester. Our group of storage professionals are available to answer any inquiries and give the very best assistance possible in terms of Storage, just give us a call on 0161 998 3000 to talk to someone right away. In case you prefer, you may complete one of the forms below to either email your enquiry or have a member of our South Manchester storage team phone you back or visit our contact page. Unsure the number of vaults you require? Simply just use our helpful storage estimator to find out how many you require.